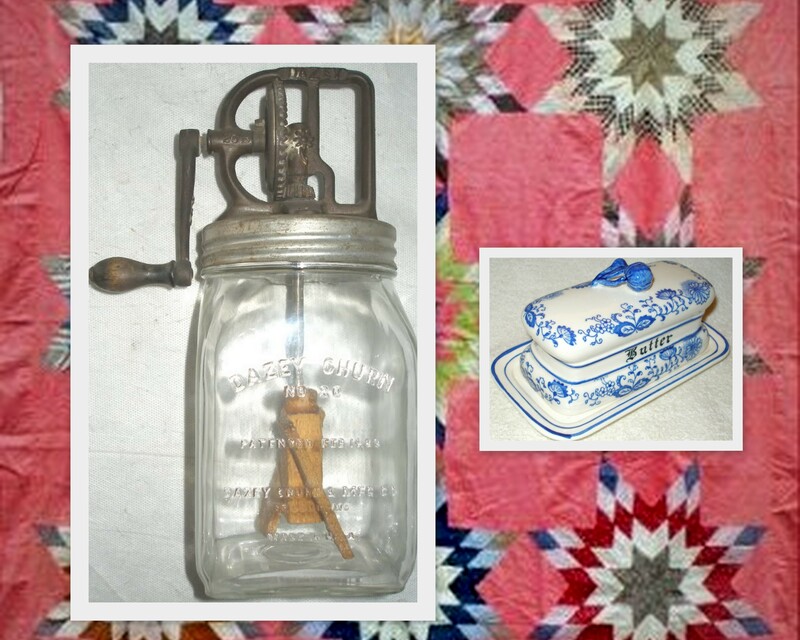 Buying a butter churn and making butter! Soak the wooden butter bats or hands in iced water for about 30 minutes so they do not stick to the butter. Whisk the cream at a medium speed in a food mixer until it is thick. First it will be softly whipped, then stiffly whipped. Continue until the whipped cream collapses and separates into butterfat globules. The buttermilk will separate from the butter and slosh around the bowl. Turn the mixture into a cold, spotlessly clean sieve and drain well. The butter remains in the sieve while the buttermilk drains into the bowl. The buttermilk can be used to make soda bread or as a thirst-quenching drink (it will not taste sour). Put the butter back into a clean bowl and beat with the whisk for a further 30 seconds to 1 minute to expel more buttermilk. Remove and sieve as before. Weigh the butter into 110g (4oz), 225g (8oz) or 450g (1lb) slabs. Pat into shape with the wet butter hands or bats. Make sure the butter hands or bats have been soaked in ice-cold water for at least 30 minutes before using to stop the butter sticking to the ridges. Wrap in greaseproof or waxed paper and keep chilled in a fridge. The butter also freezes well.